We offer all inclusive programs for all types of expeditions, institutional activities and initiatives, weddings, school trips, adventures, expeditions for all kinds of people at all budget levels. - 03 Lodgment night in Terra Luna with full board included (B:breakfast, L:lunch, D:dinner). - Free use of HOT TUB, Sauna, Mountainbikes, and pedal boat. OUT Flight: Departure from Balmaceda after 15:00 hrs. All excursions may change according to local conditions without previous notice. 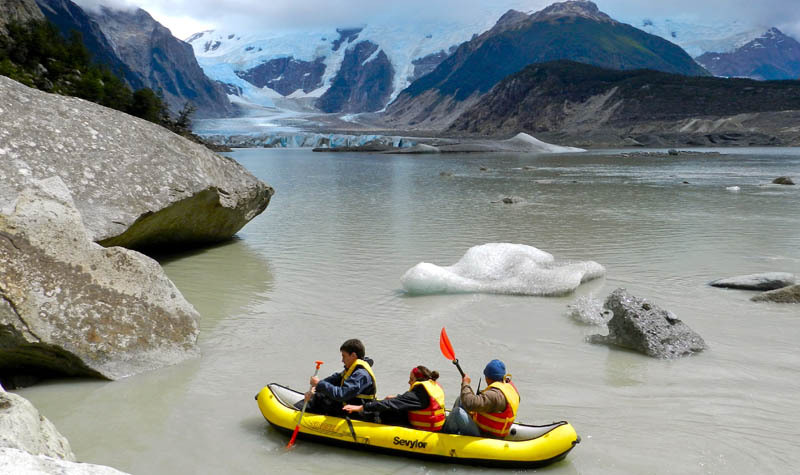 Jet boat excursions on rivers Leones, Soler, and Nef to live a great adventure, an unforgettable experience and reach the glaciers that come from the icefield. - Visits, Entrances, Park fees, etc. 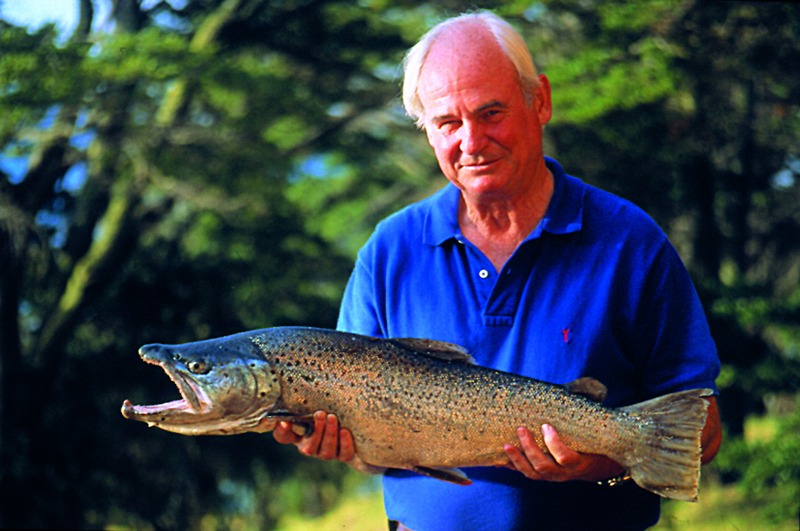 - Basic fishing equipment ( Fyshing Pole & Flys). OUT Flight: Departing Balmaceda after 15:00 hrs. - 05 Lodgment night in Terra Luna with full board included (B:breakfast, L:lunch, D:dinner). Conventional program, available ALL YEAR ROUND with a 2 day excursion to Tortel, extraordinary village of the “end of the world” (lodging in a guest house). This is a more complete version with more excursions alternatives (3 entire days). - 05 Lodgment night in Terra Luna + 01 night in local guest house in Caleta Tortel with full board included (B:breakfast, L:lunch, D:dinner). 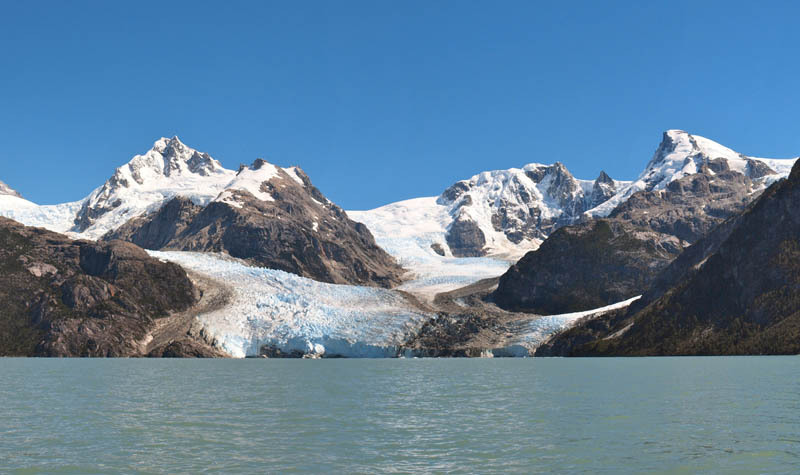 Exclusive program to invite you to trek and navigate with our jet boat to discover patagonia’s most beautiful glaciers. 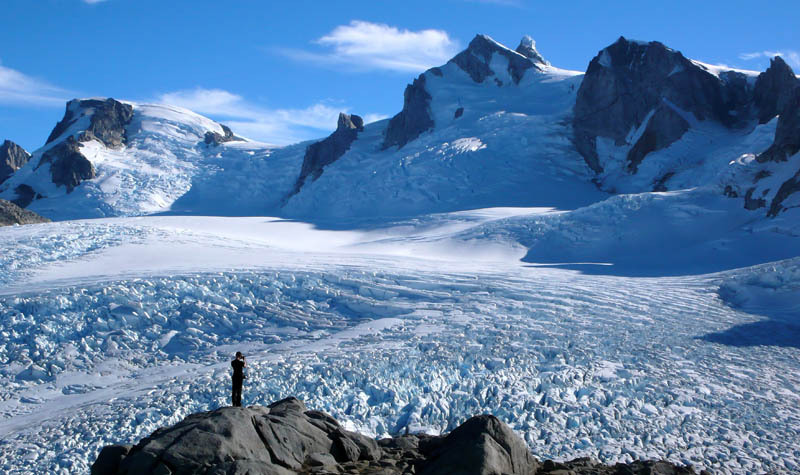 Know 4 glaciers in only 7 days!!! 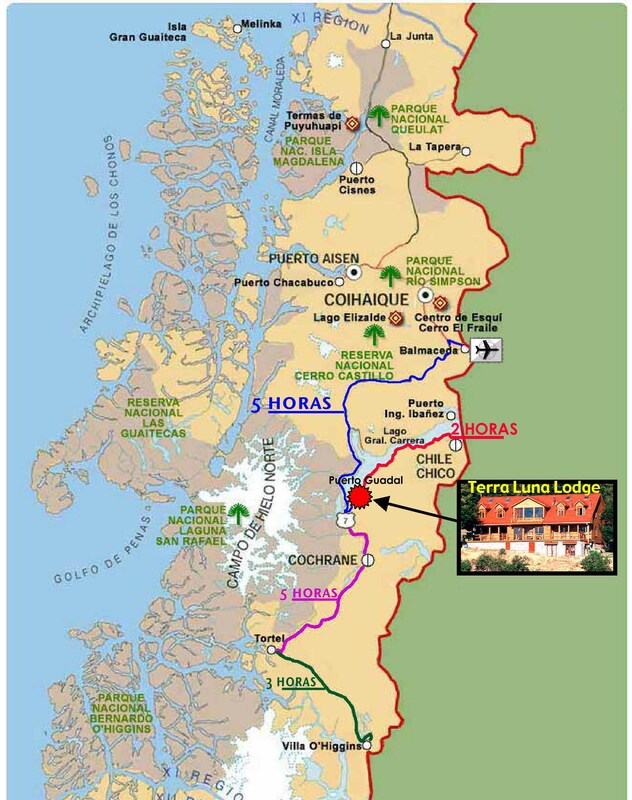 Program with the complete Austral road from Chaiten to Villa O Higgins. Unforgettable!! - 9 nights lodgment with full board included (B:breakfast, L:lunch, D:dinner). 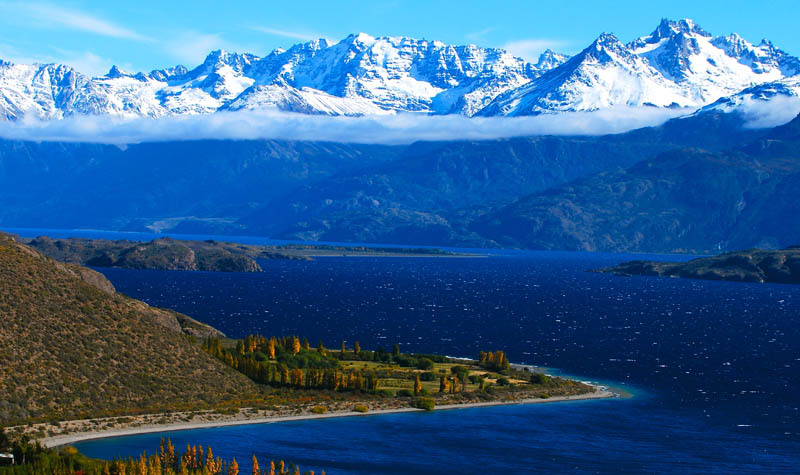 Note: It’s possible to end the program on day 8 in Villa O Higgins to connect with the cross of Lake O Higgings to El Chalten (not included). In this case, apply a 20% discount to normal price. 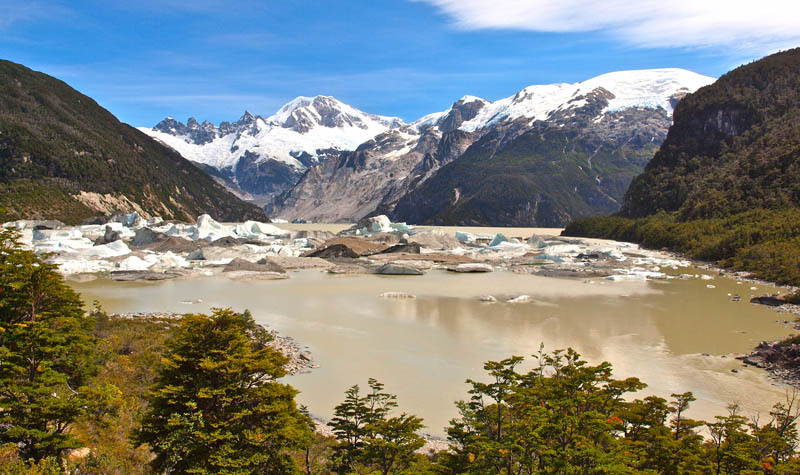 Exclusive program to invite you to trek and discover Aysen’s most renown glaciers. - Full board (B:breakfast, L:lunch, D:dinner). REGULAR DEPARTURES: 1st TUESDAY OF EACH MONTH FROM NOVEMBER TO APRIL. Objective: Trekking circuit. Circle concept similar to the Paine circuit but with better landscapes in a mountain environment. All inclusive program with several activities included (boating, trekking, Basic climbing, etc…). Magnificent view over the Northern Patagonian Icefield and it’s mountains, with out getting into the ice. - Excursions, Entrances, Fully equipped camps, Specialized bilingual guide English/Spanish (Other languages according to availability) – Free use: HOT TUB, Sauna, Mountainbikes, and pedal boat. - CHARTER Flights, drinks during restaurante meals, Tips, Sleeping bags, Mountaineering equipment (Ask us), Services not included in the program. NOTE: Entrance & departure transfers for private programs, to and/or from Terra Luna could eventually be share as in a regular service, due to logistic reasons. 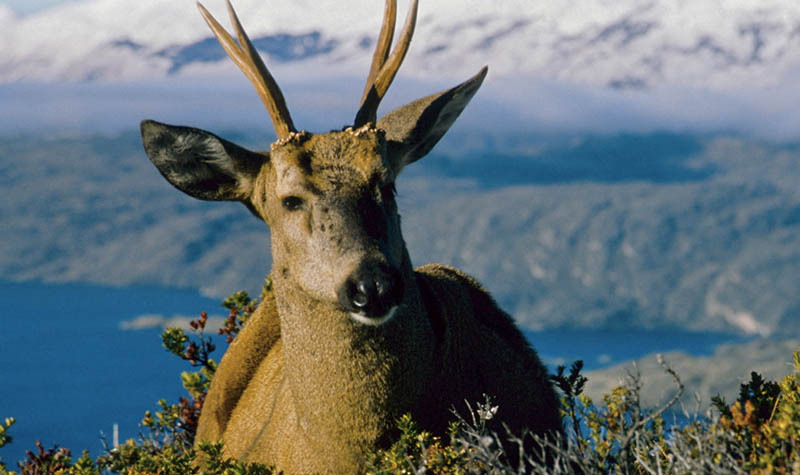 The Patagonian Northern icecap is one of the World’s mosty beautiful place. We open this World to the public thanks to this program that leads you to the Herat of this white World with the opcion to clima Cerro Mocho or Cerro Cristal. This expedition is a nice challenge for trekkers and mountaineerers who pretend to initiate to major grade expeditions in Patagonia. Located in front of our lodge TERRA LUNA, this place is visited with excelent logistical support, with permanent comunication with our base. - 02 Lodgment night in Terra Luna + 04 camp nights full board included (B:breakfast, L:lunch, D:dinner). - 02 Lodgment night in Terra Luna + 08 camp nights full board included (B:breakfast, L:lunch, D:dinner). 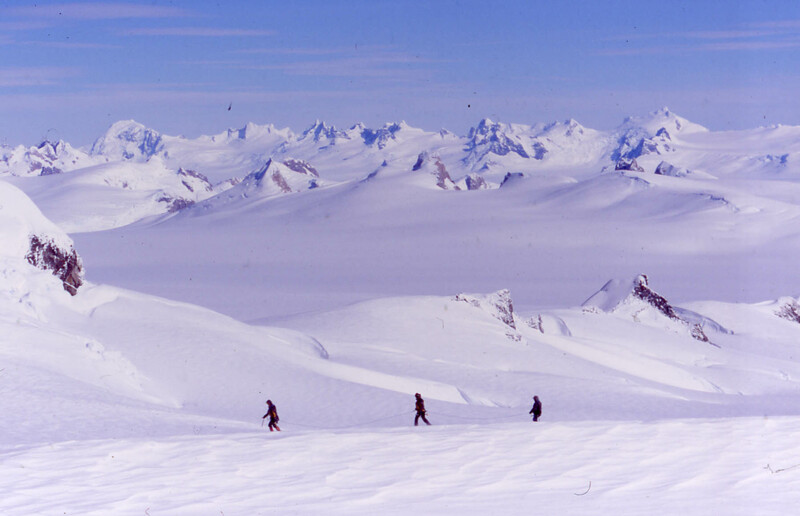 Today we cross the Icefield with our snowshoes heading south. In good weather it’s an absolutely extraordinary day… you must live it. To walk in such a hughe an lonesome place is something you just can’t describe with words. Camp in the middle of the Northern Patagonian Ice field. (B,L,D). 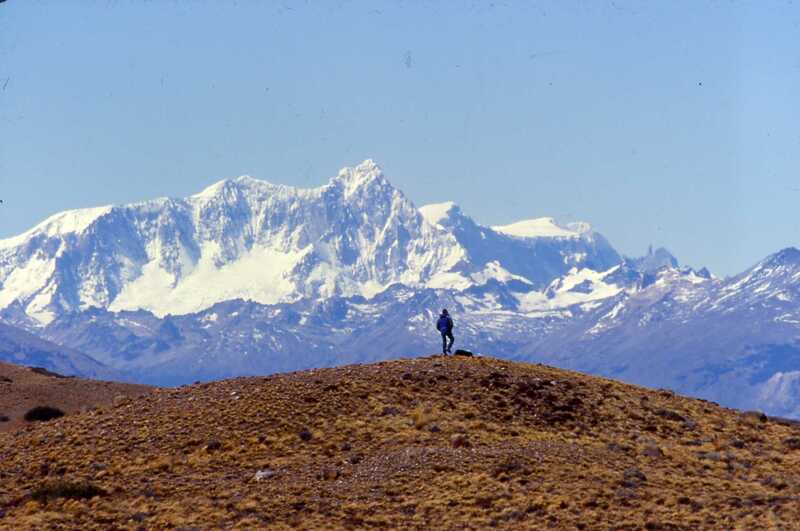 Mount San Lorenzo (3706m) is one of the nicest summits of Chilean Patagonia. This ascent is particularly engaged and technical (AD ice). This program is only for good mountaineers looking for a big challenge and the logistical support of local specialists. - 02 Lodgment night in Terra Luna + 08 camp nights with full board included (B:breakfast, L:lunch, D:dinner). - Free use: HOT TUB, Sauna, Mountainbikes, and pedalo boat. Mount San Valentin (4058m) is the highest peak of Patagonia. 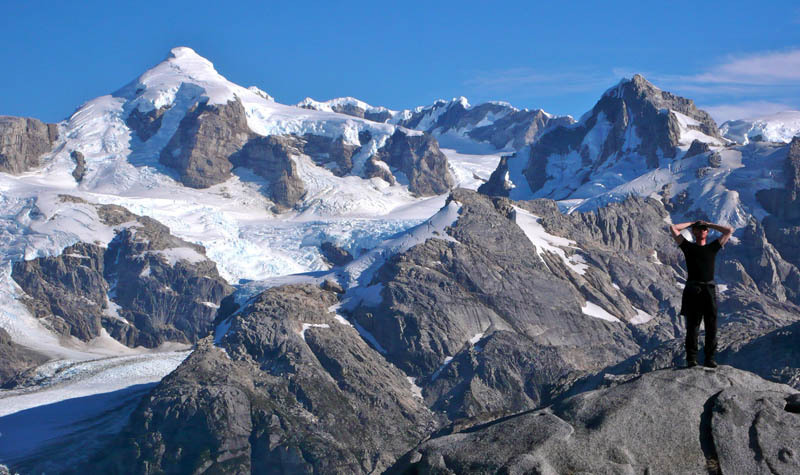 Its location in the middle of the Northern Patagonian Icefield makes it the most attractive climb and a unique experience. This expedition is the maximum challenge of our actual catalogue and is only available for experienced mountaineers. Mental discipline is one of the most important skills in this kind of expeditions as weather conditions often oblige the party to spend several days stuck in a tent. 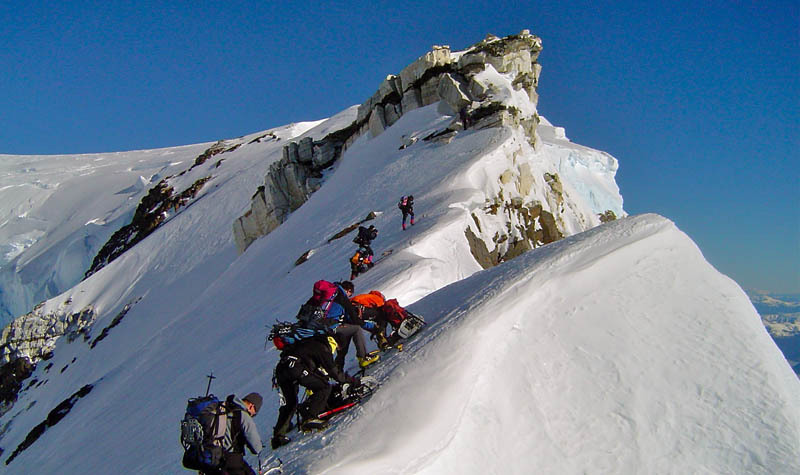 We offer this climb with the support of snowshoes and sleds. During the 1999-2000 season, AZIMUT 360 team opened a new and very interesting itinerary for the climb of this mountain, starting from Lago Leones instead of Laguna San Rafael (historical route). Since then, AZIMUT 360 has been the only Chilean company to offer and success a commercial expedition on that climb. Our own mountaineering and trekking lodge, Terra Luna, and its staff in Puerto Guadal stay in permanent VHF radio contact with the expedition, representing a huge logistical and security support to any expedition. This route is entirely recorded in our GPS. Our campsites benefit from extraordinary views and are restocked as often as possible by expedition and/or plane deposits. This and many more details make AZIMUT 360 the only company to offer a complete logistic support which will guarantee that your expeditions has the highest chances of success. You and the weather will do the rest…Good luck!! - 04 Lodgment night in Terra Luna + 15 camp nights with full board included (B:breakfast, L:lunch, D:dinner). liberate passengers carrying heavy loads. Passengers MUST and WILL carry heavy backpacks anyway. -Passengers will have sleds to pull, as we consider 1 sled/ 3 PAX. 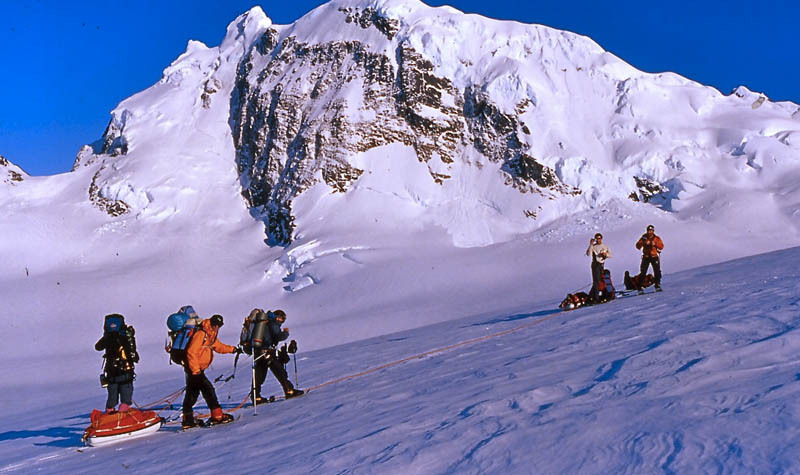 Climb to deposit and then to Camp 1 (Paso camp), on the East edge of the Icecap. For Kayak lovers we have design this wonderful programa. 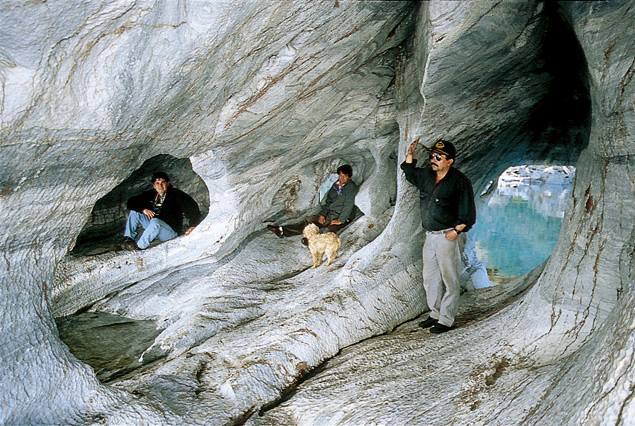 The descent of Rio Baker from Cochrane to Caleta Tortel. A different perspective to discover Aysen secret landscapes. A voyage for those in love with deep nature. Navigations available for all public, in clam waters where you don’t need to be a white water expert. - 02 nights in Terra Luna Lodge + 01 night in Tortel +03 camp nights all with full board included (B:breakfast, L:lunch, D:dinner). - Free use: HOT TUB, Sauna, Mountainbikes, and pedalo. For real adventure lovers, this is an circular exploration trekking amongst rivers, lakes, deep forest and glaciers of the Northern Icecap. Wild and untouched nature Hill delight all challenge fanatics. 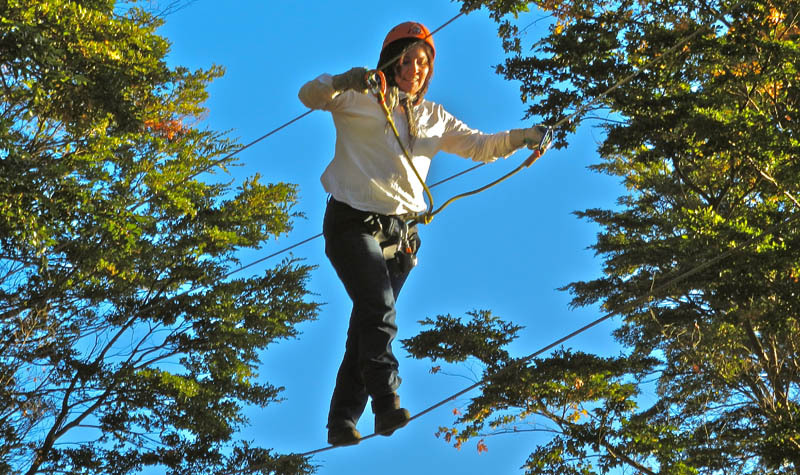 - 02 nights in Terra Luna Lodge + 05 camp nights all with full board included (B:breakfast, L:lunch, D:dinner).